Classification society. Founded in 1956, China Classification Society (CCS) is the only specialized organization of China to provide classification services. Life boats service Providing service engineers and equipment to attend and carry out annual or 5 yearly survey and maintenance of Lifeboats Rescue boats and Davit Systems Launching Appliances based on strict SOLAS Chapter III Regulation 20. 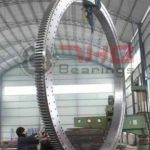 Focusing on producing marine deck machinery (such as windlass, winch, steering gear and marine crane), all kinds of long shafts, steel structure and pressure vessels. FOSES Hydroblasting & Coating Ltd.